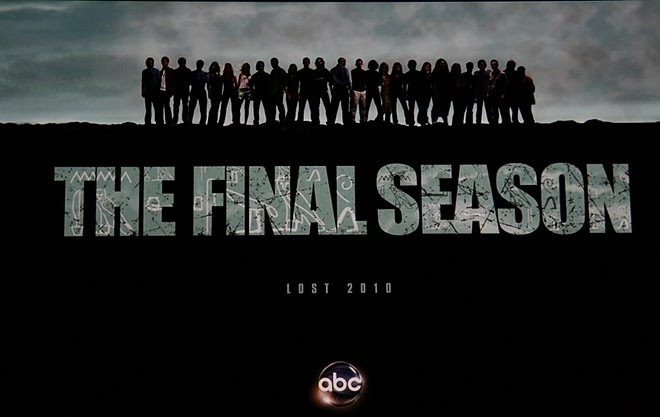 Six seasons have come and gone and one of the best television shows has come to an end. Sunday night marked the end of a journey of sorts as I watched a story that has captivated my thoughts since 2004. Like many people I became hooked because of the intricate plot and masterfully developed characters. Lost grabbed me for another reason though back in 2004. The show premiered on September 22, 2004. My father passed away on September 21, 2004. During the pilot episode we discover that our main character Jack had recently lost his father. For obvious reasons I felt a connection with the character. The entire show has been building toward a finale that aims to answer questions. It was leading the viewers on a sort of quest. It’s interesting because after my dad’s passing I said all of the right things to family and at the funeral and I know that only God gave me the strength to make it through that time. But in the months and years after that week in September I started to miss my dad more than I thought I could. I know now just like I knew then that my dad is with Christ and that September 21 didn’t catch him by surprise. Perhaps that’s another reason why the show moved me so much. Every part of the overall story was connected. There were no accidents, everything happened for a reason. Broken people were brought together in a broken place in order to be fixed again. No matter how crazy things got on the island there was always hope. Lost is not a primer on orthodox Christianity. However, for me it reminded me of one of the deepest longings of my own heart. I’ll admit at the end of last night’s finale when Jack walks in and opens the casket to find it empty I shed a tear or two. It reminded me that someday I’ll see a casket and it will be empty. I know that right now my dad is with Christ. I don’t grieve as those with no hope (1 Thessalonians 4:13), however I still grieve to this day. I don’t often talk about it with anyone, but I think about my dad almost daily. Some days I get caught up with the rat race and I forget, but then there are moments like watching Lost and I remember. Much like the characters in the finale I get a glimpse every now and then of what really matters and it gives me strength to carry on. I sit next to my wife and remember that I'm not alone. My daughter hugs me and smiles and I remember that there is such a thing as unconditional love. I see my son reach out for me to hold him and I remember that God carries me always. I remember that we are all characters and there is a master storyteller who sees His whole story and is moving it to an epic finale. A finale where all of the glimpses will turn into sight and where the questions will be answered. A moment that will turn into an eternity of being transformed because of the Light and Love that will be seen face to face. Skip--you have quite a way with words!! very beautifully said. miss you and the fam!! Thank You Skip for this post. I experienced something very similar to what you felt. I too "LOST" my Dad this past year and watching the final episode last night brought me such a sense of peace in knowing that he is with my Mom in a much better place and that one day I will be right there with them again! Thank you for sharing!